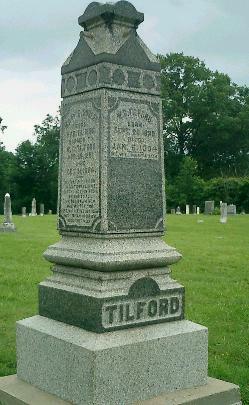 George W. Tilford enrolled in the 17th Infantry on November 2, 1861. He was all mustered with Co. G on January 4, 1862 at Calhoun as a private. In consolidation he was assigned to Company B. He was mustered out with his unit on January 23, 1865 at Louisville, Kentucky. He is buried in Green River Cem, near Cromwell, Ohio Co., Ky. [Barry Goodall]. 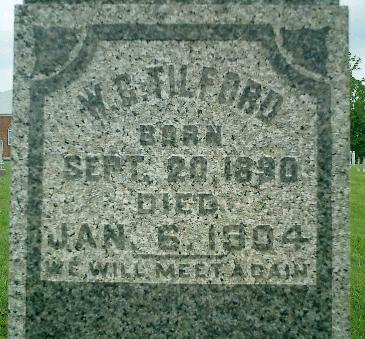 Note that his stone reads W G Tilford.